Gallbladder attacks can be both very painful and frightening. 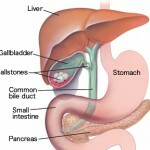 It is easy to understand why so many people opt for gallbladder surgery after experiencing even one gallbladder attack. But there are both natural supplements and natural foods that can manage gallbladder disease to help prevent both surgery and the discomfort of gallbladder colic. Chest pain in the right side (caused by stones in the bile duct or inflammation or swelling of the gallbladder itself). Nausea or queasiness, vomiting and gas are frequent. There may or may not be belching or burping. The gall bladder, which sits just below the rib cage to the right of the stomach, is very tender to touch. It can be so painful that it takes your breath away. You may not be able to walk without bending over. Sometimes the pain radiates through to the back shoulder blade on the right side or in the middle between the shoulder blades. This is pain from the gallbladder referring to the back of the shoulder. This back shoulder blade chest pain is one of the most common yet unknown symptoms of a gallbladder disorder. This can come and go or be constant. It may be sharp, excruciating or dull. It may also occur especially at night. A gallbladder attack will typically last for one to four hours. Is this a gallstone attack or what else could it be? Pain in the right side of the chest or in the upper right quadrant (area) of the body can be due to more than gallbladder problems. The differential diagnosis should be done by examination and questioning by your doctor. If the pain is severe, tests may be done to rule out stomach, pancreas, liver or gallbladder. If you have come to this site, you have some suspicion yourself that your gallbladder is involved. The questionnaire provided for you is a helpful indicator since additional gallbladder symptoms help to confirm your suspicions. Pain alone is not usually enough. If the pain is located mid-center beneath the rib cage, this can also be gallbladder related. Appendicitis pain can also be referred to the mid-center. The pain can come from a stone making its way down the biliary duct or bile tube toward the duodenum of the small intestine. 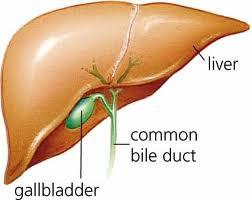 It can also be caused by a back up of bile in the gallbladder (with or without stones) that causes it to swell from fullness causing discomfort. Or it can come from an infected gallbladder itself that becomes inflammed known as cholecystitis. That’s what’s happening in the moment. But the underlying causes of stone forming or bile thickening or low-functioning gallbladder are important to understand in order to heal the root of the problem. Hypothyroidism is a major conrtibuting cause to gallbladder disease of all kinds. The thyroid is responsible for metabolism and when it is not working optimally, metabolism in general slows down. Your digestion may be slower, the bowels may be slower, gallbladder emptying may be slower, even thinking may be slower. Food allergies are also major contributors to gallbladder disease. They cause a histamine release that can cause excessive fluid in the bile ducts, causing them to back up. It is important to isolate those specific foods by eliminating them and introducing them back in one at a time and watch for reactions, so that you know just what is causing the problem. There is an entire page dedicated to just this allergy sleuthing and one for hypothyroid as well which you will want to peruse at your leisure. But for now, step one is to see your doctor for a diagnosis. It’s important to know exactly what is going on. Then, if you haven’t already done so, fill out the gallbladder symptom questionnaire. It will give you suggestions on what to do at this moment based on your individual symptoms for example, get out of pain and discomfort. If it’s weight gain due to gallbladder disease, it may be trying the allergy elimination diet to start. Order what you need to get started, and if you need help, you can always schedule a consultation to get pointed in the right direction. We might order blood tests for you to check your thryoid or to check if insulin resistance is contributing to high cholesterol and/or to gallstone formation. I have put together combinations of products for specific problems. But they are not enough without major dietary changes. Read the gallbladder diet page from top to bottom. And if everything you eat causes pain, go to my gallbladder pain relief recipes on the diet page and implement them immediately. The flax seed tea is the simple to make and extremely effective.